December 31, 2011 /Photography News/ At 12 noon on the 12th of each of the 12 months in 2012, participants are invited to take photographs or make art each month. Entries are uploaded each month to www.2012project12.com where they can be viewed and voted on by the general public. Deadline for entry into Peace 12, Gaia 12 and A Study of 12 is 31st Jan. 2012. The prize in each of the 4 categories is photographic equipment up to the value of €1,200 (Euros). 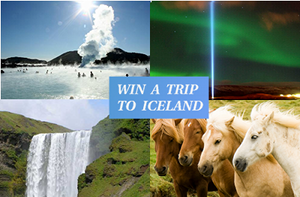 The Grand Prize is a trip for 2 to Iceland for one week. The best entries of Project 12 will be published in a book and DVD. Project 12 (2012 Project 12) headquartered in Akranes, Iceland, is an independent, registered non-profit association founded in 2011 which aims to make a historical record of the year 2012, inspire world peace and encourage environmental awareness. Thanks dear for this post. powerful vashikaran mantra.